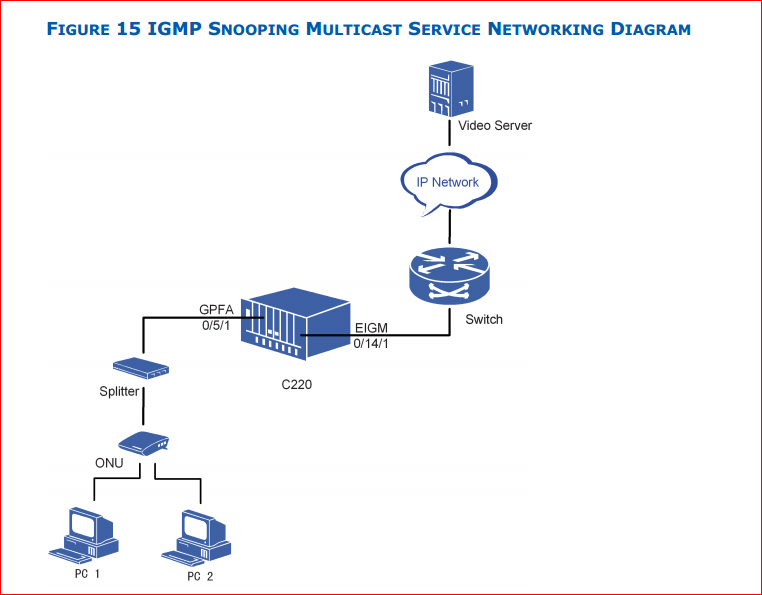 Today i will discuss how to IGMP Snooping Multicast Service Configure in ZTE OLT. Make sure that network device works normally. Make sure that GPON card works normally. 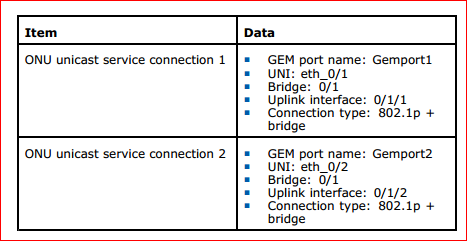 On the ONU, the multicast service connection transmits only multicast service packets and the multicast protocol packets are transmitted in the unicast service connection. The F621 supports one MVLAN and 32 multicast groups. Note: The ZXA10 C220 supports 8 service priorities (0 – 7), where 0 is the lowest priority and 7 is the highest priority. ii. Enter the global configuration mode. iii. 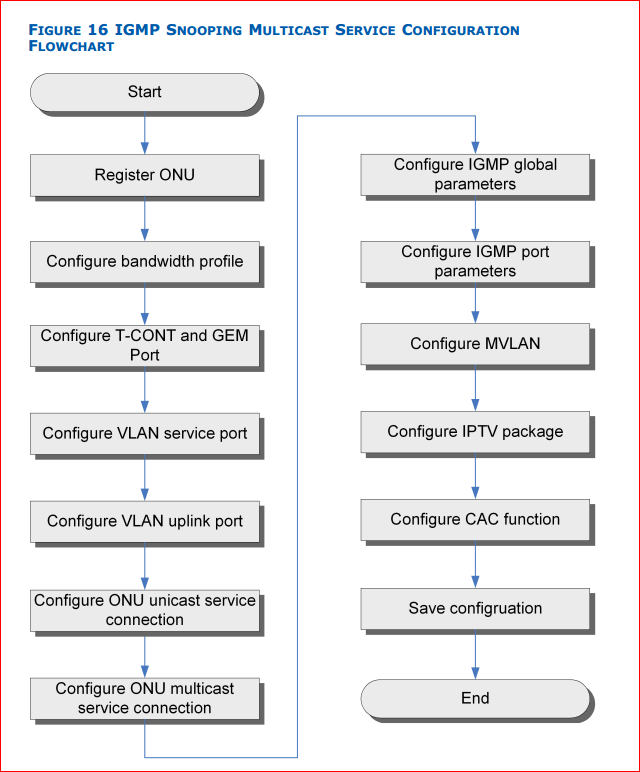 Enter the GPON-OLT interface configuration mode. 3. 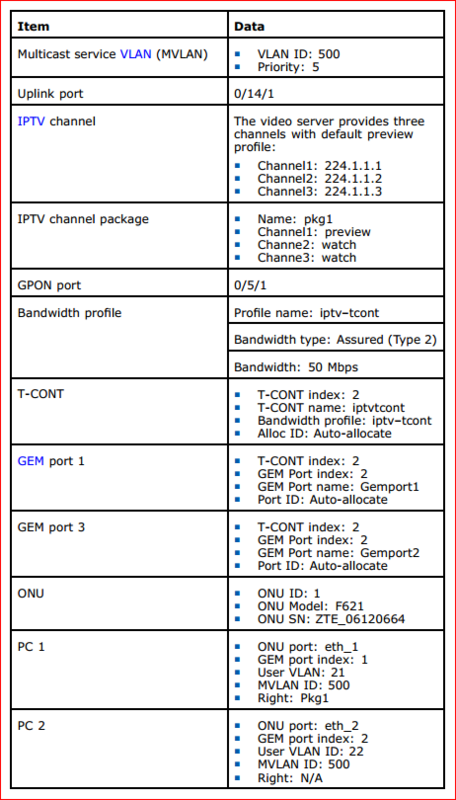 Configure T-CONT and GEM port. Note: According to IANA, mutlicast MAC addresses are 01:00:5E:00:00:00 – 01:00:5E:7F:FF:FF. As a 28–bit IP address is mapped to a 23–bit MAC address, 32 multicast IP addresses are mapped to one MAC address. ii. Configure MVLAN working mode.